Source TV: Erick Sermon: "Rap Is One Conversation"
The internet has been in a frenzy since the announcement Kim Kardashian and Kanye West welcomed a baby boy into the world on Saturday, December 5th. 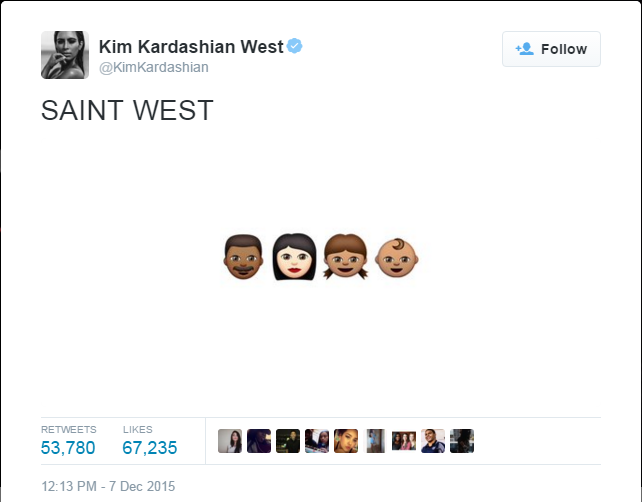 So excited, in fact, that they began picking out names for the West’s unnamed son. Although many Twitter followers speculated the name was in reference to Kanye’s infamous “Yeezus” moniker, according to US Weekly the name was selected due to the couple’s difficulty conceiving their second child.